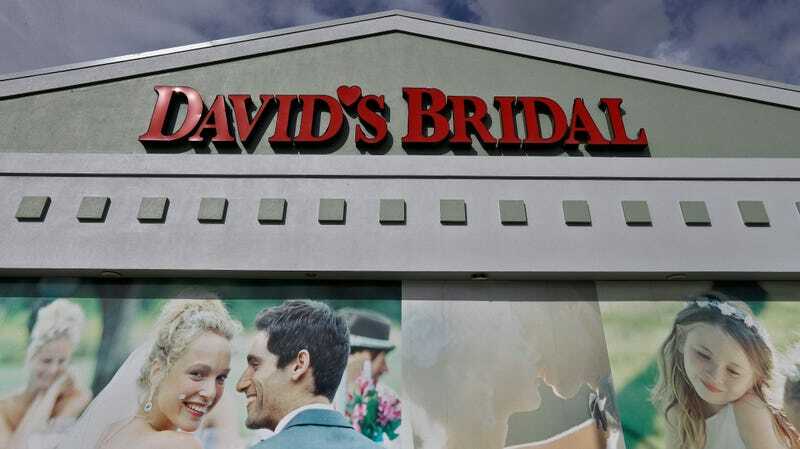 David’s Bridal has declared bankruptcy but they really want everyone to know that all the brides will be getting their gowns, please please PLEASE do not panic! Everything is fine!!! New rivals to David’s have emerged, offering low prices, fewer frills and respite from a dress-shopping ritual that is often nerve-racking. For example, Kleinfeld Bridal, an upscale New York institution featured in the popular TLC show “Say Yes to the Dress,” opened a separate store last year with off-the-rack sample dresses that can be tried on without an appointment. Anthropologie’s BHLDN brand is popular, and the e-commerce fashion behemoth Asos began offering wedding dresses in 2016, with many options priced below $1,000. To underscore this commitment, we have announced a plan to financially restructure David’s Bridal. This agreement allows us to guarantee no change in the service level our customers expect from us. Our 300+ stores will continue operating, and all orders and alterations will be delivered as promised. We are, and will continue to be, open for business. But it’s not merely that millennials have struck again, with their casual tastes and pesky lack of abundant financial assets. Much like Toys R Us, there’s private equity at work in that debt load—in 2012, “its current owner Clayton, Dubilier & Rice took control in a $1.05 billion leveraged buyout that was the industry’s largest at the time, but sales and earnings weren’t enough to carry the debt load,” explained Bloomberg.